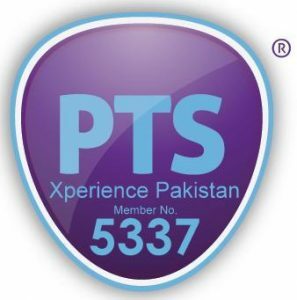 Pakistan is a 4 season’s destination with attractions for people from all walks of life and for all age groups. Its tourism products include history, archaeology, culture, adventure and special interest programs. With the traces of world’s oldest history in Moenjodaro, Harappa and Mehargarh parallel to the ancient civilizations of Egypt and Mesopotamia, ruins of Gandhara & Buddhism, remains of Mughals sultanate and British Raj, Pakistan has a wide range of attractions throughout the country. A trip beyond the time has been designed, which is equally interesting for students, researchers, photographers and common tourists, with following overview of the program. Prices have been quoted based on single occupancy at 5 start hotels or at the best accommodation possible, where the 5 star chains do not operate. If you are a family or a group of friends going, it would not be as simple as multiplying the guide prices provide by x number, as there are a number of variables. We would encourage anyone who is interested in booking a holiday with us, to give us a call so that we can provide you with an accurate quote based on your requirements. We will reach Larkana by air from Karachi. Upon arrival at Larkana, we will drive to the Mohenjo Daro, an archeological site, rated amongst the most spectacular of the world’s ancient cities and the Mohenjodaro Museum. After visit of Mohenjodaro will leave for Larkana and transfer to hotel. After breakfast we will checkout, and start our journey towards ancient site of Kot Diji, the forerunner of Indus Civilization, situated on the east bank of the Indus River. After visiting the site we will drive to Sukkur and transfer to hotel on arrival. In afternoon we go for city sightseeing tour. We will also visit the Tomb of Seven Sister and ruins of Aror (old capital of Sindh). After breakfast we we will depart for Bahawalpur, a historic city which was once a princely state. On the way we will visit Uch Sharif. Uch is an ancient city with reference to it having been built by Alexander the great during his quest in the region. Later in the 12th to 17th century, it thrived as an Islamic centre by the Muslim scholars fleeing persecution in their own lands. It became a city of mystics and saints and we can still see remains of their grandeur. Check-in for overnight at hotel in Bahawalpur. After breakfast we go for excursion of Derawar Fort, a massive and visually stunning square structure, built in 9th Century. We return in afternoon and visit the Abbasi Mosque, Bahawalpur Museum and and Noor Mehal. We will depart for the city of saints famously known as Multan after breakfast. After check-in at hotel we will visit the shrines in Multan. 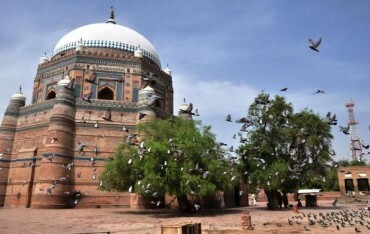 Multan has a number of shrines from 10th and 11th century and mosques which were built in the 18th century. After breakfast, we leave for Lahore with a short excursion to Harappa on the way. Harappa is another Indus Valley Civilization that existed during the Bronze Age. After lunch break we continue to Lahore and transfer to hotel on arrival. 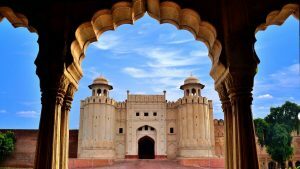 Lahore is the city of culture and has a history with various rulers having had their influence here. Most prominent have been the Sikh and Mughal rulers who left their mark in many places. We begin our tour of the city with a visit to the Lahore Fort (locally known as Shahi Qilla) in the old city. Next to the Fort is the Grand Badshahi Mosque, an excellent example of Islamic and Mughal architecture, shows the grandeur of the influence from Persian, local as well and Middle Eastern styles. In the evening we will visit the old bazars and night markets for souvenirs. Leaving Lahore after breakfast, we will proceed along the Grand Trunk Road (built by Sher Shah Suri linking Kabul, Afghanistan with Chittagong, India in the 16th century). We will reach the Rohtas Fort which is also a landmark project of Sher Shah Suri and built in the 16th century to counter any invading forces from the West. After visit to Rohtas fort we resume our drive to Peshawar, stopping briefly at Rawat to see Mankiala Stupa. We will reach Peshawar and transfer to hotel on arrival. We will start the day with a visit to the Peshawar Museum and then proceed to Takhat-e-Bahi which is the archaeological site of Buddhist monastery spanning a vast area. From Takht-e-Bahi we will proceed to Taxila, another archaeological site and a seat of learning of Buddhism in the 6th BC. It has influences of Indian, Greek and Chinese being reflected in Buddha imagery. The Taxila Museum is purposely built on site to preserve and document each finding. From here we will drive to Islamabad and transfer to hotel on arrival. 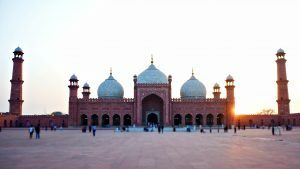 After breakfast we will make a city sightseeing tour to Rawalpindi and Islamabad, which offers a great contrast of culture, archaeology and planning. Rawalpindi is an old city with narrow lanes and bustling bazaars while Islamabad is more modern, and the only planned city of Pakistan serving as the capital of the state. Raja Bazaar, Murree Road, Lok Virsa Museum and Shah Faisal Mosque are the main places of tourist interest included in the tour. In afternoon, we will drop participants at the airport for flight to Karachi.